What a deliciously wonderful family! this is so freaking cute, Nina! LOVE IT. Such cute little faces! Love it. Very cute!! I love how you made the hair! BEAUTIFUL!! I especially love the colors of your corn/beans/onions/peppers - MmMMMMMmmmmmMMMm!! Looks TASTY! Cute! I think I have the same set of cutters as you do, I find them extremely useful! These are FANTASTIC! I love your write up, too! Great detail on the faces and such as sweet post. I love it! 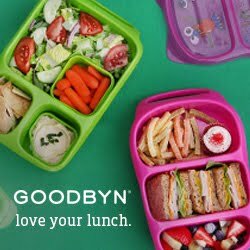 And I love those lunch boxes...one day! What an adorable family!!! Cute & happy! So cute! 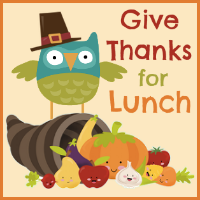 I like that you are thankful your family enjoys eating your lunches. They are adorable. Beautiful!!! I don't think you lost any mojo!!! This is so sweet! 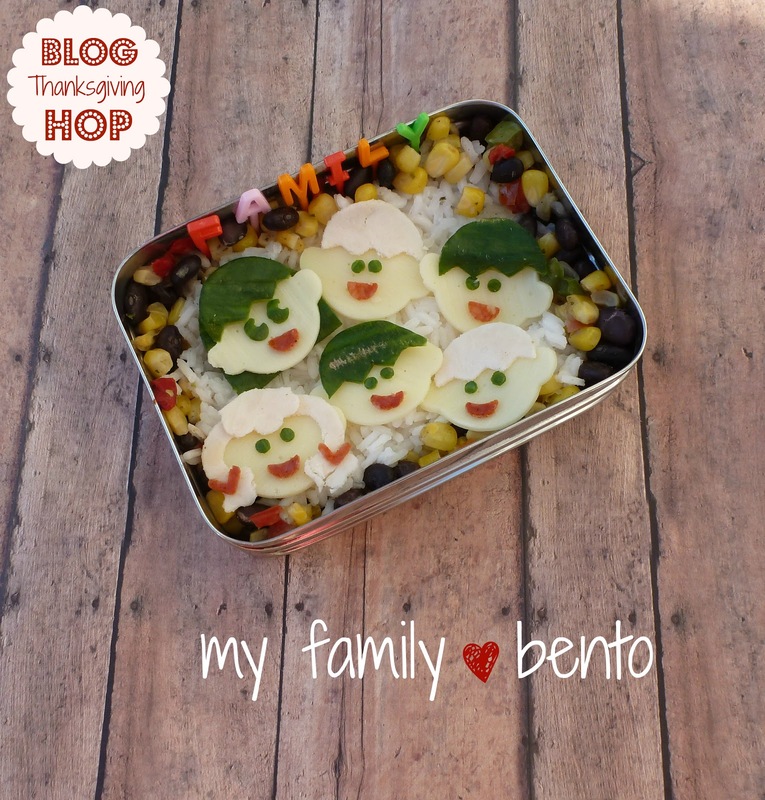 I love your family bento! I am thankful for you, Nina! Happy Thanksgiving! Beautiful, delicious family, what could be better than that!!! Lovely!! So adorable! Love the plank background. Thanks for linking up to my Pin Me Party! I've pinned this! Have a wonderful Thanksgiving! Love your family bento! cute. They're so cute! Yay for family!